Anyone else ready for spring? We’ve gotten a little taste of gorgeous, warm weather and then we get snow and sleet! This Tennessee weather is bipolar lately! Finn was born in January and having a baby in the winter months makes ya not want to get out much. We have stuck pretty close to home the past couple of months which has led to a bit of cabin fever. So any chance we get to be outside, we will take it! 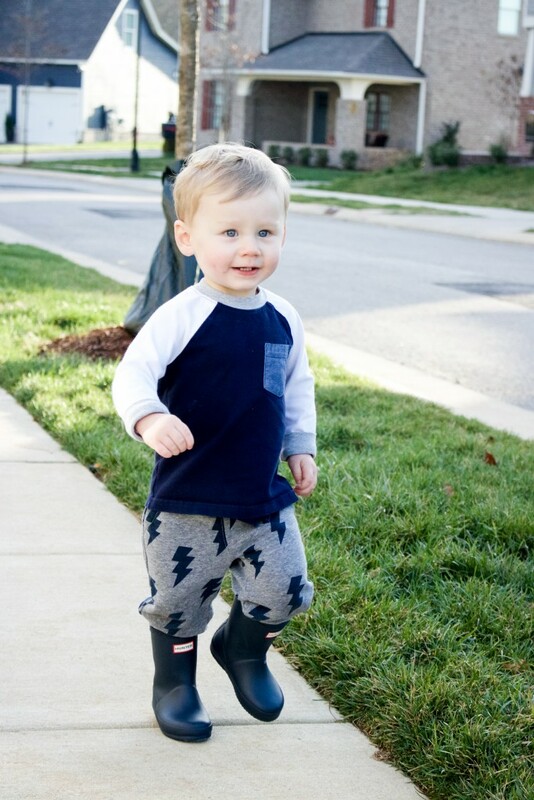 This spring is different in our neighborhood because they’ve finally finished building all of the houses and sidewalks, which means it’s perfect for little feet to run! I love that we can just step outside and go for walks! 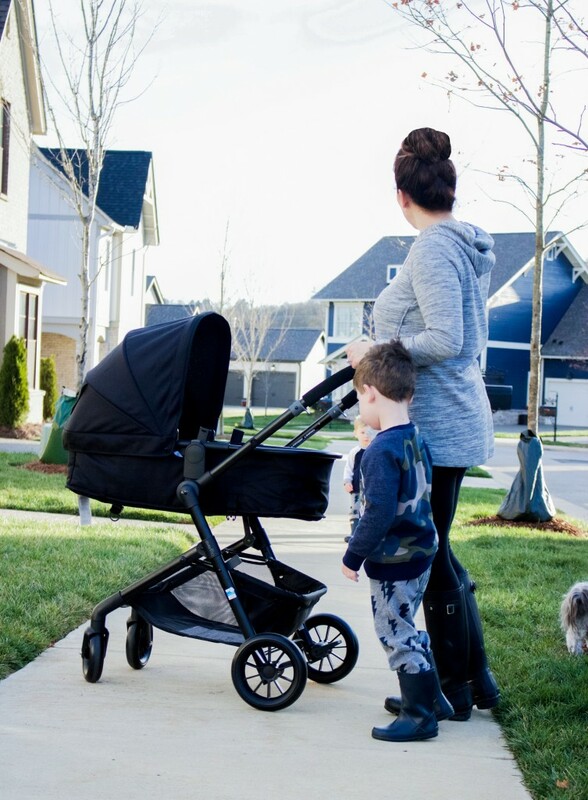 I’ve had a double stroller since Rohen was born and it’s been great to have for two kiddos. One thing that I don’t like about it is how heavy and awkward it is. It’s really hard to load and unload from my car which makes me not want to get it out unless it’s an absolute must. 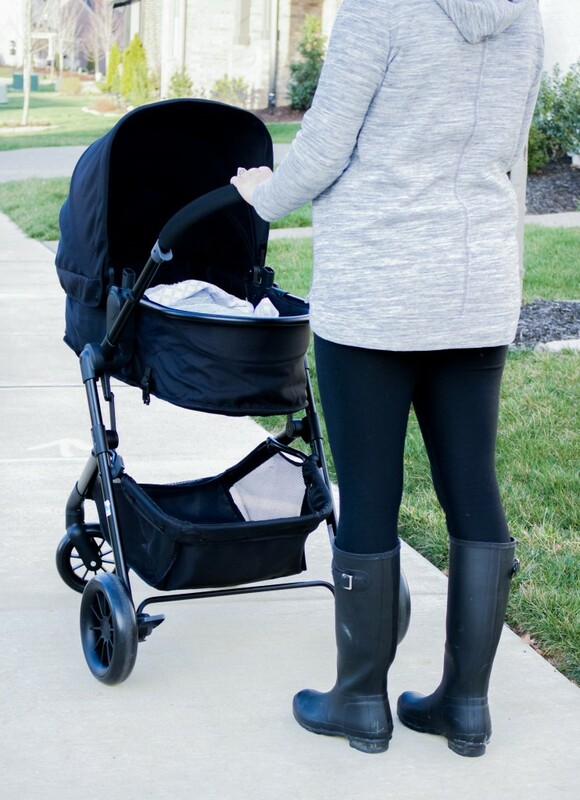 The Evenflo Travel System is seriously the best for us right now. I’ve never had a bassinet stroller attachment for either of my boys and I absolutely love it for Finn. 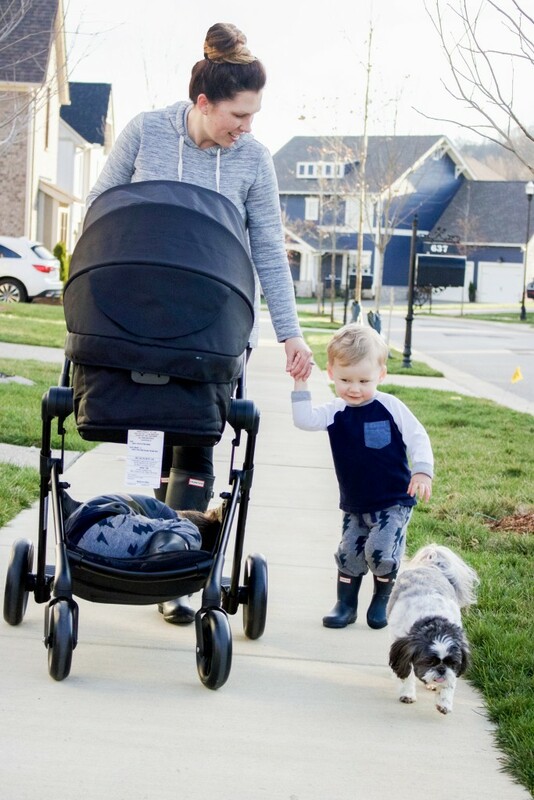 The single stroller is perfect since Rohen is always wanting to run along with Harper and I just need something for baby brother. Although, he found the basket underneath to be pretty cozy. So that comes in handy when he gets tired. Lol! 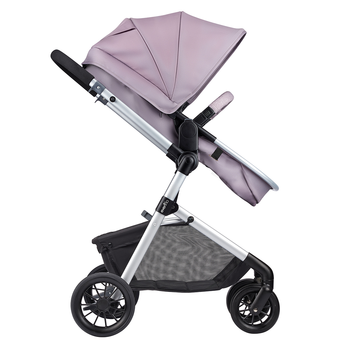 What’s really great about this travel system is its versatility! I love that the bassinet is great for infants but can also be elevated for a toddler! 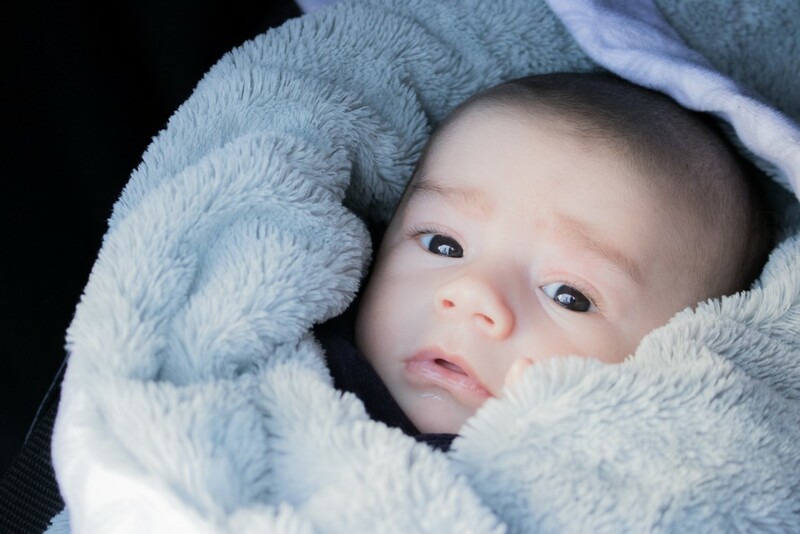 I can use it for the baby or if I want to wear him, I can easily change the position and put in Rohen. 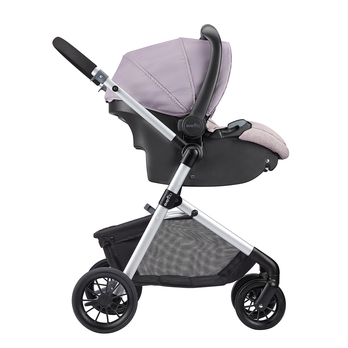 The stroller isn’t too big and it’s lightweight! 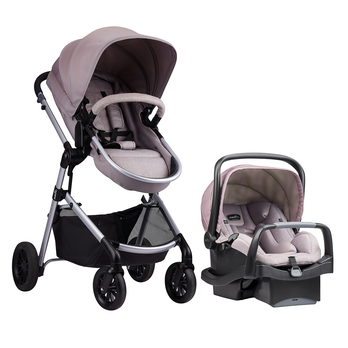 Now that I’ve got three kids, I’m always looking for anything that makes life a little bit easier and this stroller/car seat combo definitely does just that. I would highly recommend it! 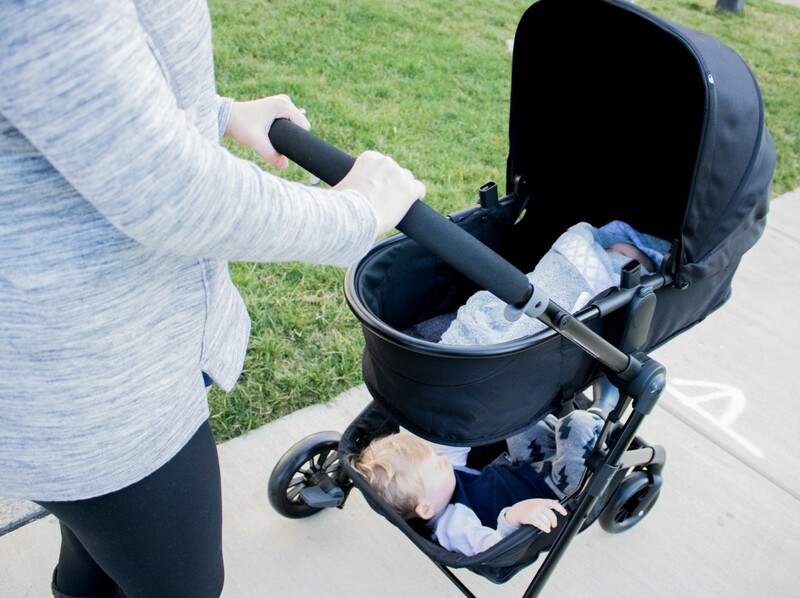 Find the Evenflo Pivot Travel System here!